14. Air Jordan III "Do the Right Thing"
Complex says: Well, they meant well. 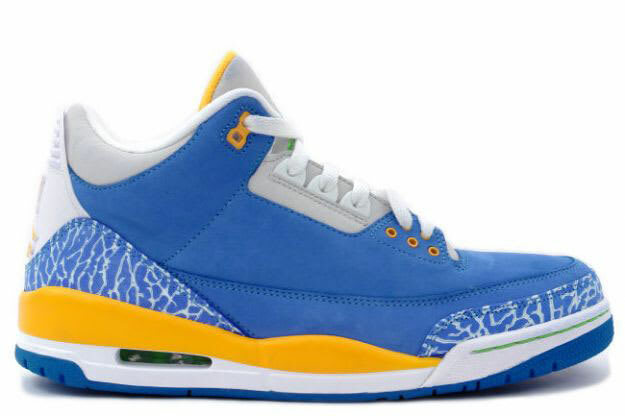 Part of a whole series of Jordan shoes meant to evoke the poster art of 1989's "Do the Right Thing," these sky blue Air Jordan IIIs featured yellow accents, green stitching, and a whole lot of attitude.